"A healthy weight and lifestyle will make it easier to get pregnant and help ensure a healthier pregnancy and postpartum period," says Agena Davenport-Nicholson, MD, an OB/GYN at Emory University Hospital in Atlanta. Yet more than half of women are overweight or obese when they get pregnant, according to new data from the CDC. An overweight pregnancy is risky for mother and baby. Moms run the risk of gestational diabetes, high blood pressure, and preeclampsia -- a potentially dangerous complication of high blood pressure during pregnancy. Risk for C-section is higher, too, as women who are overweight during pregnancy tend to have larger babies. As for babies born to overweight moms, their blood sugar can plummet dangerously low at birth. That's because they're cut off from their sugar source -- the umbilical cord -- while their body still produces enough insulin to break down all that sugar. In the long run, babies born at a higher birth weight run a greater risk of obesity and diabetes throughout life. 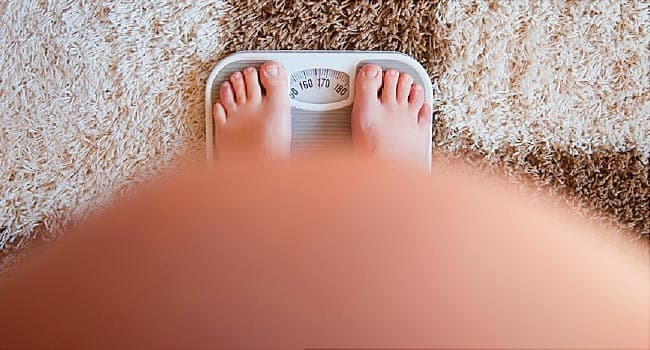 While the risks of overweight pregnancy are real, you don't have to set weight loss goals that you can’t reach before you conceive. "Even if we can't get you to your ideal weight, if we can get you closer to that, it could make a world of difference," says Davenport-Nicholson. "Losing just 5% to 10% of your body weight prior to pregnancy definitely helps." If you weigh 180 pounds, 5% is just 9 pounds. If you're already pregnant, this is no time to diet. Instead, strive for a healthy pregnancy that includes daily exercise and managing weight gain. Women who are overweight should gain only 15 to 25 pounds during pregnancy (11 to 20 pounds for obese women). Ask your doctor how you're doing. You're not eating for two. Pregnant women at a normal weight only need 300 more calories a day. "It's not double your usual intake," she says. Ask your doctor how many calories you need. What you eat matters. Eat and drink healthy calories -- your baby needs the nutrients. Choose high-protein foods that are rich in polyunsaturated fats but low in sugar, simple carbohydrates (such as those in white bread), and saturated and trans fats. Stay hydrated. You need 80 to 100 ounces of water a day. "During pregnancy, your blood volume expands, and it's easy to get dehydrated, feel lightheaded, dizzy, and even pass out," says Davenport-Nicholson. Exercise (almost) every day. You need at least 30 minutes of moderate physical activity most days -- walking, dancing, swimming. "Swimming is great in pregnancy," she says. "It makes you feel lighter."